The US election just happened and I’m one of those people who feel a bit shocked. I’m not outraged. I’m not worried the world will end. I just thought the country had pulled a little closer together about racism, xenophobia, and sexual preference differences. Neither candidate was my preference. Neither represented how I’d like to view this nation’s leader. On 9/11, I, like many others, was very afraid for what else was going to happen. I, like many others, felt that the government would step in, reassure everyone, and show off an amazing plan to navigate us through what to do next. If not the government, then maybe corporations? Someone? Right after 9/11, I had a visceral realization: no one is coming to save us. This changed everything for me. I started learning more skills. I started paying more attention to the world around me. I built up new capabilities so that I would know what to do or at least have an approach if times got tough. I didn’t count on the government to do anything for me. I didn’t count on corporations to have my best interest in mind. I took action for myself. I switched from being one of the sheep to being a sheep dog and seeking to keep my eyes out for the safety of others, as well. I learned more and more skills that I could apply to my life and my success. That’s what you have to do with the shock you’re feeling. What comes next isn’t as dramatic as you’d think. Just like after 9/11, there was aftermath but no further immediate massive attacks (on American soil). This post-election moment is just like that. Something big just happened, but what comes next is that it’s up to you. You are who has to take action. Face a few realities: millions of people who could have voted, didn’t. Millions of people believed that they voted for the right person (and maybe they did). Neither candidate was ideal and neither alone has the power to change the world in any massive way. But none of this relates to you. You have a job in the coming years and honestly, it’s been your job all along. Accept that pain and fear exist. Racism comes from fear and pain every bit as much as it comes from ignorance. We tend to only try and “treat” the ignorance. But some people have real (and imagined) pain and fear stemming from issues or situations that involve other races or creeds or situations. One reason this election surprised many is that so many people tried to use “reason” as the salve to some complex wounds. Call out racism where you see it. That said, it’s not okay to act upon racism. Silence is compliance. Vote against it. Rail against it. Don’t let it thrive. Call out bigotry where you see it. And by the way, look up the definition. How some of you are reacting to these election results is bigotry. Show your inclusiveness. You’ve heard it before. Be the change you want to see in the world. That’s not just a bumper sticker or yoga tee shirt. Find the path forward. Movement is life. Dwelling is standing still. We have to move forward if we want to find our way to a better place. Days and weeks spent in “shock” are wasted. No one is coming to save you. I had a very wise mentor in business who told me a great life lesson: “Nothing ever happens with all the drama you expect.” I have friends who voted for both parties. Every human I know has a racist opinion tucked into their beliefs somewhere, including me. We are all flawed. We are all misinformed. We are all afraid and wanting what we think is right. Find what’s common. Help with people’s fear and pain before trying to educate them. Accept that we can have different views. But refuse to accept hate, bigotry, misogyny, or oppression of any kind. That’s your job. No one else’s. No one is coming to save you. 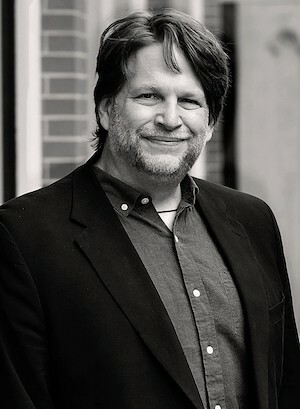 Chris Brogan is a business advisor and author. He is CEO of Owner Media Group and author of the forthcoming book, Make Your Own Game: Take Stock, Break the Rules, Own Your Life (Wiley, 2017).